High school senior Carson Phillips (Chris Colfer) was destined for bigger things than his close-minded small town could ever offer. He was on a path to greatness, but destiny had a different plan when he was suddenly killed by a bolt of lightning in his school parking lot. Demonstrating that life is what happens while you’re busy planning your future, Carson recounts the last few weeks of his life via witty, insightful flashbacks, including a blackmail scheme targeting the popular kids in school that he concocts with his best friend (Rebel Wilson, BRIDESMAIDS), and a home life that includes a mother (Allison Janney, JUNO, “The West Wing”) who’s more interested in the bottle than her son’s future and an estranged father (Dermot Mulroney, MY BEST FRIEND’S WEDDING) who suddenly appears with a pregnant fiancée (Christina Hendricks, “Mad Men”). 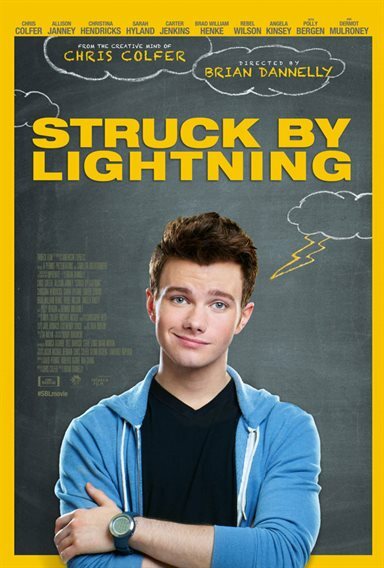 Download Struck by Lightning in Digital HD from the iTunes store. Struck by Lightning images are © Tribeca Film. All Rights Reserved.